Single day pass for Monday, October 6th. Includes access to the Exhibit Hall, Monday sessions, breakfast and lunch. Includes sessions, two breakfasts, lunch, and social event with light hors d'oeuvres and open bar. You must be a current NDA member to qualify for this price. Includes sessions, two breakfasts, and lunch. You must be a current NDA member to qualify for this price. Includes sessions, breakfast, lunch, and social event with hors d'oeuvres and open bar. Includes sessions, two breakfasts, and lunch. 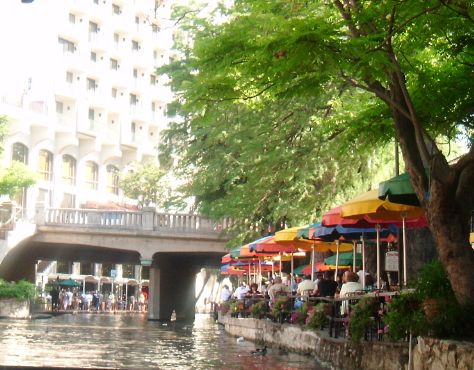 Make plans to join us on the beautiful River Walk in San Antonio, Texas at the Hilton Palacio del Rio. Registration fee includes all sessions - Keynote speaker, three panel discussions and six sessions IP Track, six sessions Litigation Track and a Vendor Track. There will be plenty of time to ask questions and network as well. The Hilton Palacio del Rio reservations are now open. Using the User Group of National Docketing Association and User ID of NDA you will receive our special group rate of only $189.00 a night. Or you can use the NDA personalized reservation page by clicking here. Come early, stay late, and enjoy all San Antonio has to offer: the River Walk, visit the Alamo and La Villeta a historic arts district of Old San Antonio. The Conference Registration Desk will open at 5:00 PM Sunday afternoon and reopen at 7:00 AM on October 6, 2014. Conference opens after breakfast on October 6, 2014 at 8:30 AM.